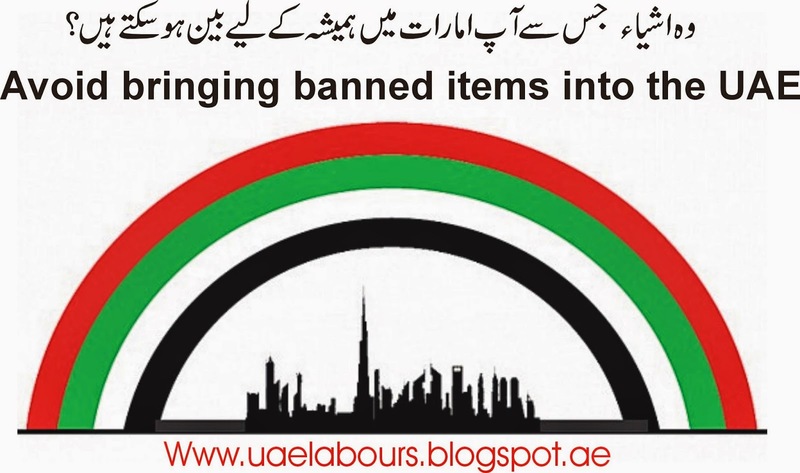 Drugs, narcotics and chemicals have been strictly prohibited by the Government of United Arab Emirates. Before entering into the UAE you are advised to take all precaution to confirm that you don’t have any substances in your luggage or any other thing you may carry. There are many other drugs that will be count in Narcotics in which Heroin, Opiates, and Cannabis are banned. Passengers from Pakistan, Afghanistan or India mostly bring NASWAR, GUTKA, Betel leaf or nuts which are also not allowed in the UAE. While there are few things that can end your UAE Life, if you have caught with it. Below are the Top Ten things that can turn you in a Black List person (Life Time Ban). 3. Fake Emirates ID Card. 7. Religious or Non-Islamic notes for missionary activities. 8. Carbon-based fertilizers and Chemicals. 9. Banned Communication Devices, Laser pens, Radar Jammers. 10. All other objects which do not follow the religious or moral values of UAE. Only non-Muslim visitors/passengers are allowed to buy Cigarettes and Alcohol as per Dubai Customs Laws while coming through DXB Airport. Do ensure before entering to Airport that you’re Luggage, medicines or any other Material does not contain a Restricted or Banned substance. Are you paying over $5 per pack of cigarettes? I buy my cigarettes from Duty Free Depot and I'm saving over 50% on cigarettes.